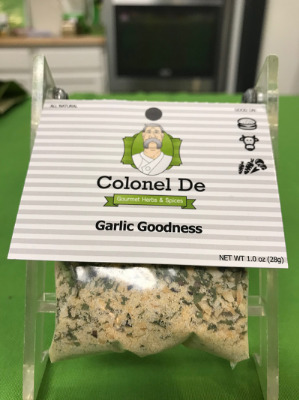 Garlic Goodness, it is all in the name. This great combination is sure to enhance almost any dish. Around here we just refer to it as house candy. Ingredients: garlic granules, garlic pieces, onion granules, onion chopped, black pepper, sea salt, parsley.